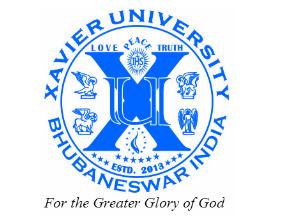 Xavier Institute of Social Service was established in 1955 at St. Xavier’s College, Ranchi. 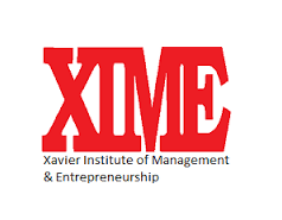 From a humble beginning made with the objective of training young men and women in Personnel Management, Industrial Relations, Rural Development & Social Welfare. 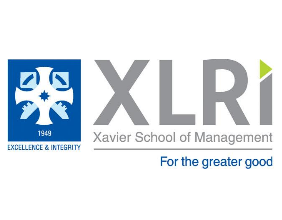 Over the last 50 years XISS has covered a long path of glory and success. 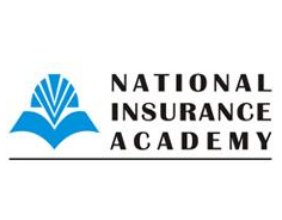 In 1973, the Institute was registered as a separate educational society under the Societies Registration Act, 1860. 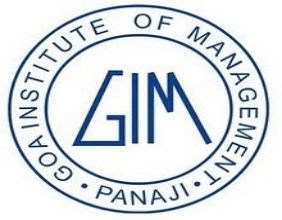 From that point onwards it has been recognized as one of the most outstanding management schools in India. In 1978, it moved to its present site and over the years has grown in terms of both capacity as well as resources. 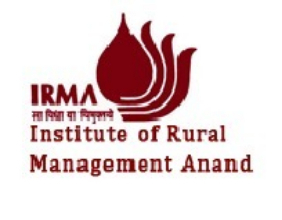 Today it has developed its own distinct identity to become one of the premier management schools of India in the fields of Human Resource Management, Rural Management, Information Technology and lately even Finance and Marketing Management. 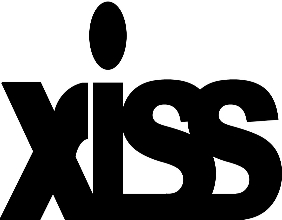 XISS being one of the premier institute of the country the inflow of forms is always huge particularly after the XAT exam results are out and on the last date of submission of application form. Due to this heavy traffic, their previous online portal used to get down frequently. Due to heavy traffic their payment gateway usually remains slow which led to the increase in count of failure payments. Our platform provided a proper solution for the bad server issue. With our dedicated form server, we provided them our online form process which worked without any interruption during peak hours. With our 3 way payment gateway process we resolved the issue of slow payment process and also increased their payment success rate. Currently there payment failure rate is negligible as compared to the earlier count. 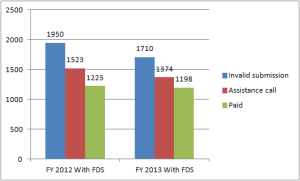 Prior to FDS they had a total of 1700 online applications. 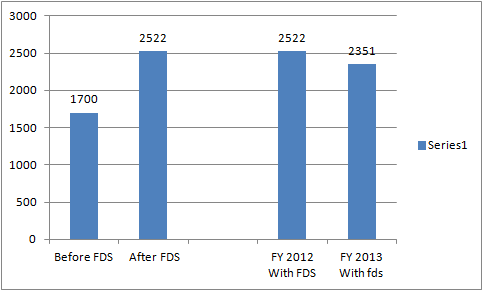 But after implementing FDS online application form their no. of applicants grew to 2522 in the year 2012. The count of payment and successful submission also increased due to assistance call made to applicants who have done invalid submission. 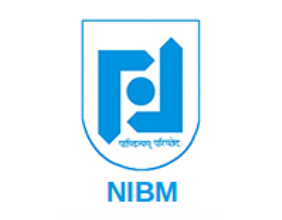 In the year 2013 a decline in application is seen but this is due to a general decline in MBA aspirants which was seen across all institutes. However the conversion ratio of invalid submission to paid applicants have increased during the period. 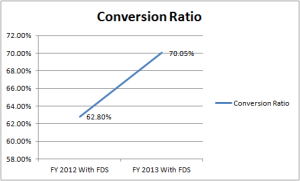 In the year 2012 the total invalid submission was 1710 out of which 1125 applicants paid with a conversion ratio of 62.8 %. 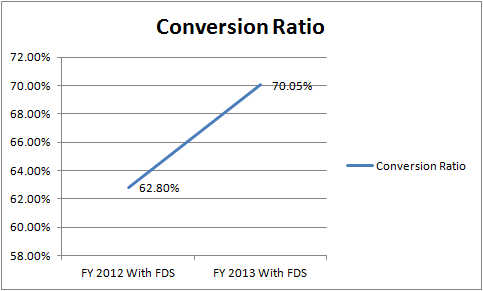 In the year 2013 the total invalid submission was 1950 out of which 1198 applicants paid with a conversion ratio of 70.8 %.